Your single point of contact for renewable energy projects. As a Renewable Energy developer, we know that every customer has different needs and interests when it comes to their individual project. Our engineers are always performing product research and engaging in industry updates in order to provide the best possible offerings to our clients and keep us on the cutting edge. 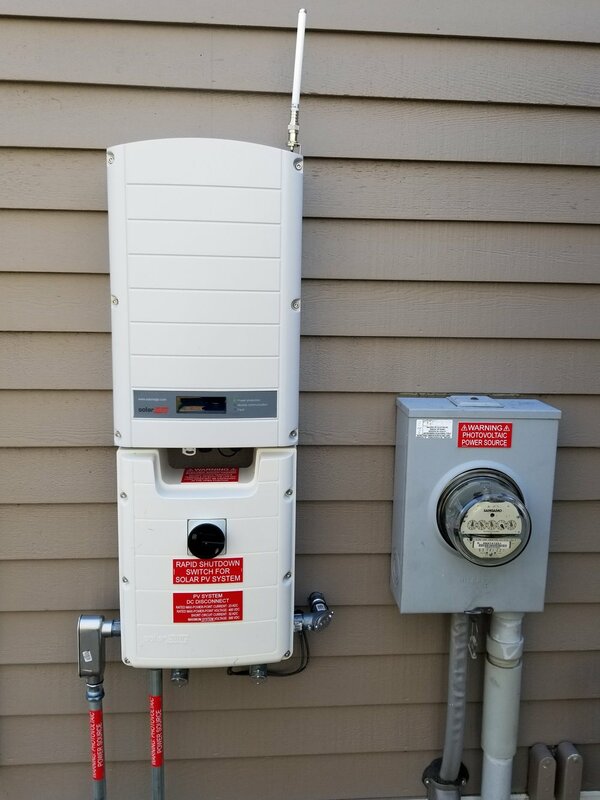 As an example, we were the first solar developer in Rhode Island to install a grid connected solar system with a battery backup. This design is the only utility approved method for generating solar power during a grid outage. Take a look at our project offerings below. Whatever type of system you choose, you can feel good knowing that you are helping the environment while also saving money, and from the initial design proposal to the final inspection, Hillview Environmental will walk you through every step of the way. If you are interested in a project type not shown here, our engineers would be more than happy to develop any custom solution you require. One of the most straight-forward ways to implement a solar system in today's market, net metered solar systems connect to both the home or business and the power grid. Earn credits when you make more power than you are using, and spend those credits when you need power from the grid (such as at night). Our designs incorporate modules on each solar panel called optimizers, which allow you to monitor the production of your system down to each individual panel. With a net metered system, you can completely eliminate your electric bill. This means that as energy costs go up, the value of the power your solar system generates goes up as well. Enjoy all of the benefits of a net metered system, but with the ability to continue powering your home while the utility grid is down. Normal net metered solar systems are required to shut down when the utility grid is offline in order to protect utility workers. However, with a battery backup system, electricity is automatically supplied to your home by an aesthetically pleasing wall mounted battery pack. The best part: your solar panels will continue to make power and recharge the battery pack during the day! Export solar is a different take on solar power production, using a fixed value for the power generated. Exporting power is frequently the most financially positive choice. Instead of connecting the solar generation system to your home or business, it is tied directly into the utility grid through a separate metering device. The meter tracks how much power you generate each month, and the utility company sends you a payment based on the amount of power multiplied by the fixed value for each kWh. Your solar system essentially becomes a mini power plant, supplying the utility grid with clean, renewable energy. As part of any of our projects, we are proud to offer high quality, expertly installed roofing through our partner business, Veteran Roofing. With over 25 years of experience in both residential and commercial roof work, as well as a wide range of roofing material options, our close relationship with Veteran Roofing allows us to provide unmatched installation value and quality on every project. We don't just work around your existing roof, we can improve it as part of the solar installation process, and make sure that it will last as long as the solar system does.